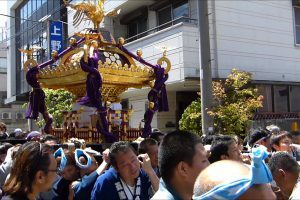 Azabu Hikawa Shinko Great Festival is a festival to be held in Minato-ku, Tokyo. 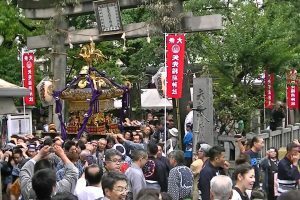 Minato-ku is called Azabu Hikawa Shrine so that it is easier to distinguish from the fact that three companies Akawa, including Shimane and Azabu, have been settled. 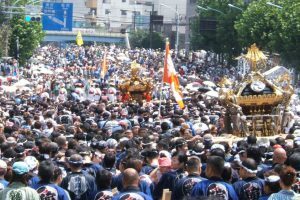 In the long ago in 938, when Genko won the East to fight the disturbance of Heijunmon gate, it was founded in the land of Azabu Ichihonmatsu. 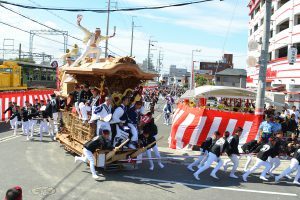 However, as for the recommendation, there is the theory by Ota Orihi of the civilization year from 1469 to 1485. 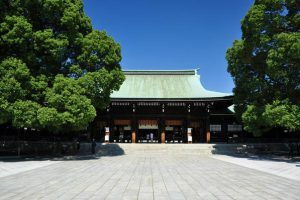 In addition, the main shrine of a vermillion beautiful company was actually revived, in the past it was regrettably burned down by the Tokyo air raid. 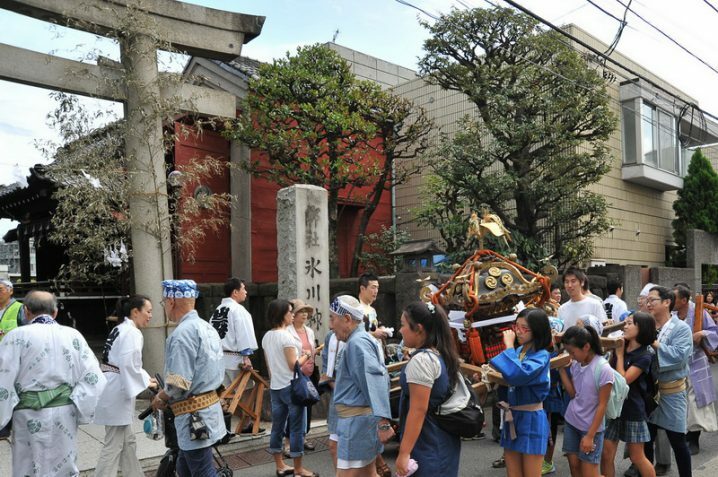 Azabu Hikawa Shrine has appeared as a volcano shrine in the midst of a pretty girl warrior, Sailor Moon, which was once popular, and it is also a pioneer of the sacred pilgrimage boom. 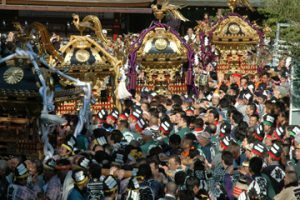 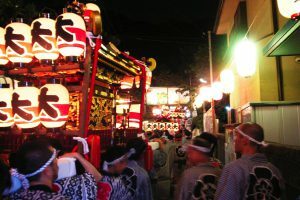 For example, at the Big Festival, floats, kamikinboshi, adult shrine mikoshi, women shrine mikoshi go around, besides Aikawa Takeya Town, Motomura Town, Shinbori Town, we will also be handed out the association of three town associations. 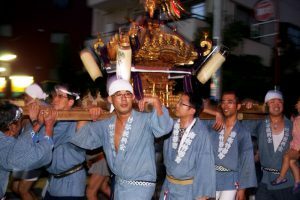 Since the lanterns with the town name will lead you, you will soon see which shrine or mikoshi. 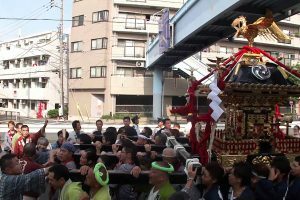 In the middle of passing, various people ‘s behavior has come out, and the festival is held in a peaceful atmosphere from beginning to end. 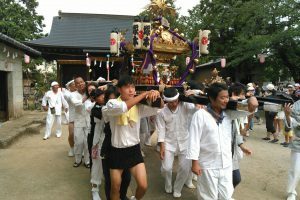 Then dedication of intangible cultural heritage of Sato Kagura takes place, and the precincts are enveloped in a rustic atmosphere. 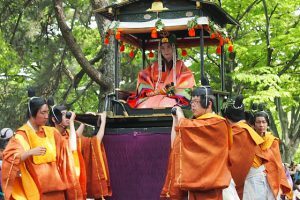 Why do not you indulge in the Kagura such as Mitsubishi Masaru who dances to a unique clause and see it at an example festival? 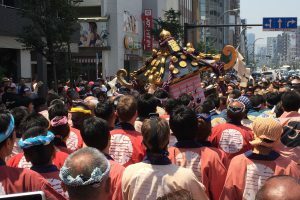 Well the festival is held around Azabu where not only the road width becomes wider and narrower but also the change of gradient is remarkable. 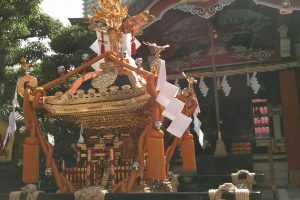 Example When participating in the Great Festival, be careful not to lose sickness due to the hot weather and exhaustion.